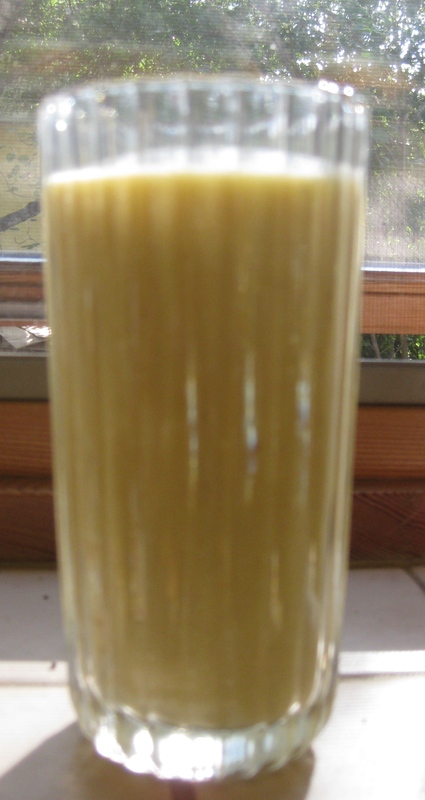 A shake made from mango and bananas is by definition yummy and nutritious. This recipe ups the nutritional value of the shake. Be sure to soak the walnuts for at least 1 hour. Soaking longer will soften them more. Into a blender, add all the ingredients in the order in which they are presented in the list. Blend until the walnuts are mixed in well. You don’t need a super-duper blender to make this shake. I made it in an old Osterizer blender. I could very slightly detect the walnuts so I assume that a more powerful blender would blend them in better.